Cravings Gourmet Popcorn and Soda Pop Market was created in 2005 by Chad Jordan. It's his love for having a good time that inspired him to create addicting popcorn snacks. Since his teen years when Chad would watch big time wrestling with his grandfather or Beverly Hills 90210 with friends, popcorn and soda pop were always in supply. Cravings originally opened for business in September of 2007 at the Lansing City Market. 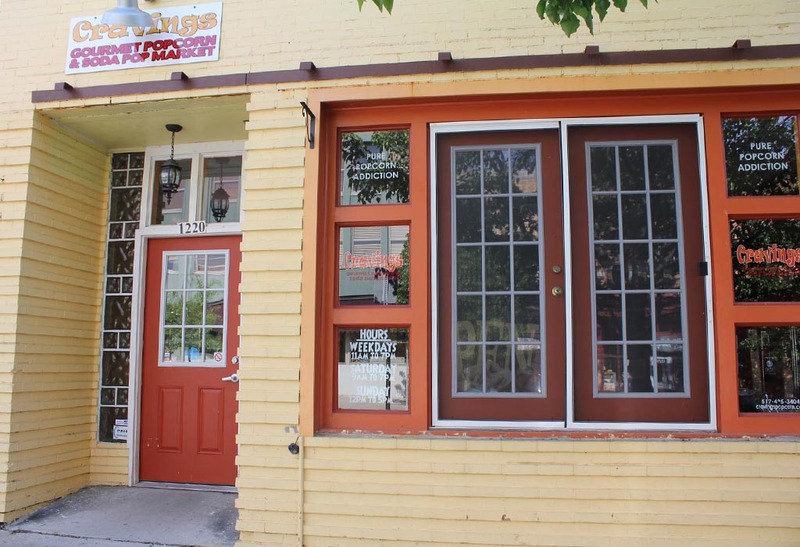 Business grew and Cravings moved to it's current location in Historic Old Town Lansing. Cravings always listens to flavor ideas from their loyal customers, because it is their good times that are most important. We believe the best popcorn is made with high quality ingredients and served fresh to our fans. Pure Popcorn Addiction is the Cravings Gourmet Popcorn mantra.